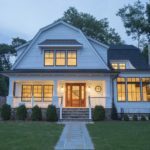 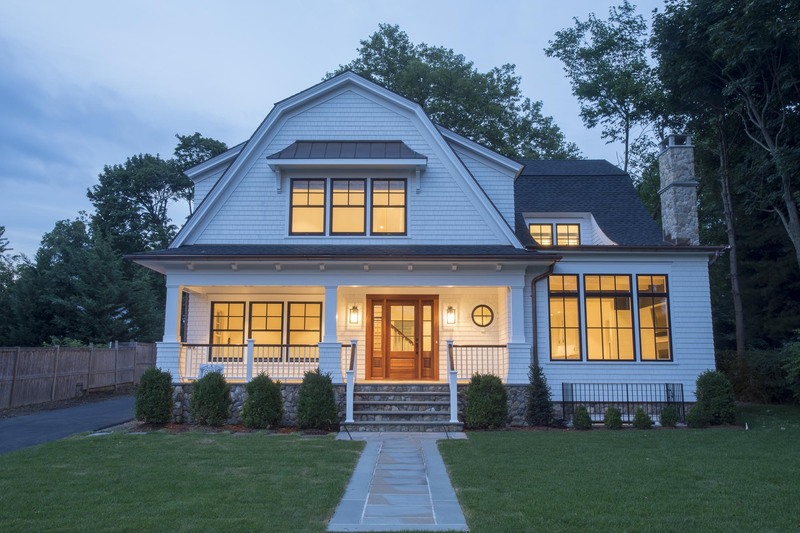 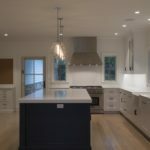 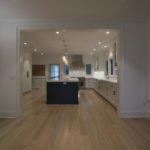 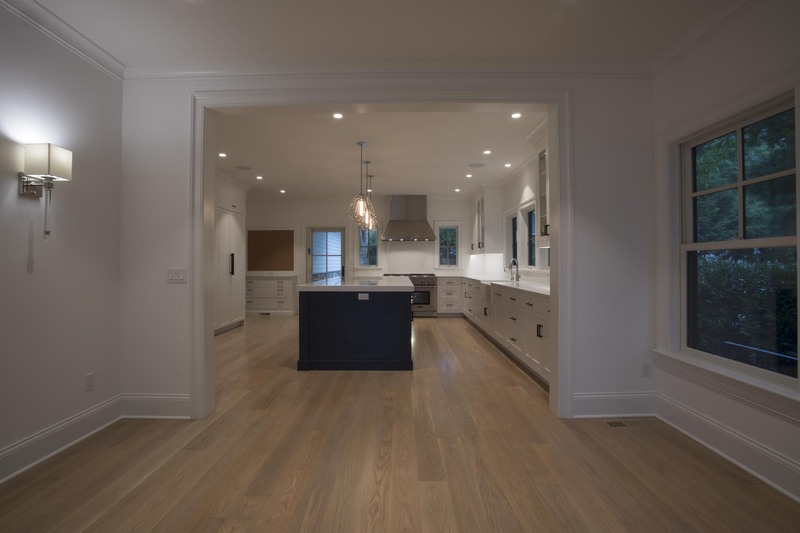 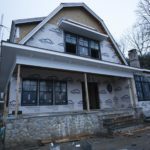 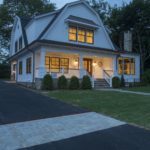 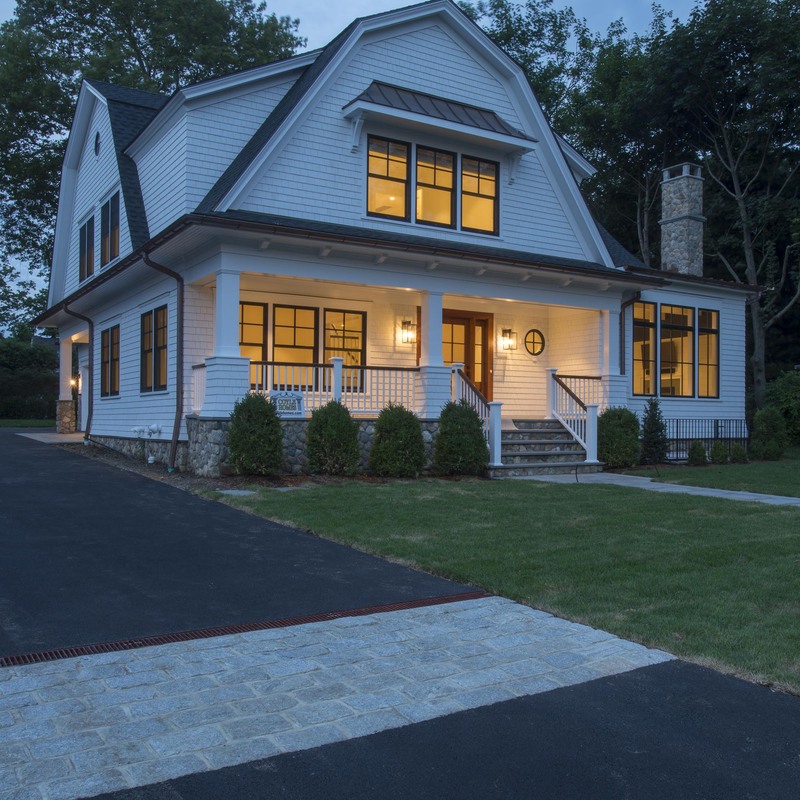 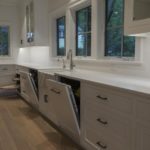 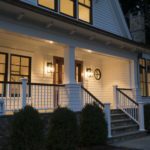 Coyle homes handled this entire process for this beautiful custom 4000 square foot home in Rye, NY, from tear-down to move-in. 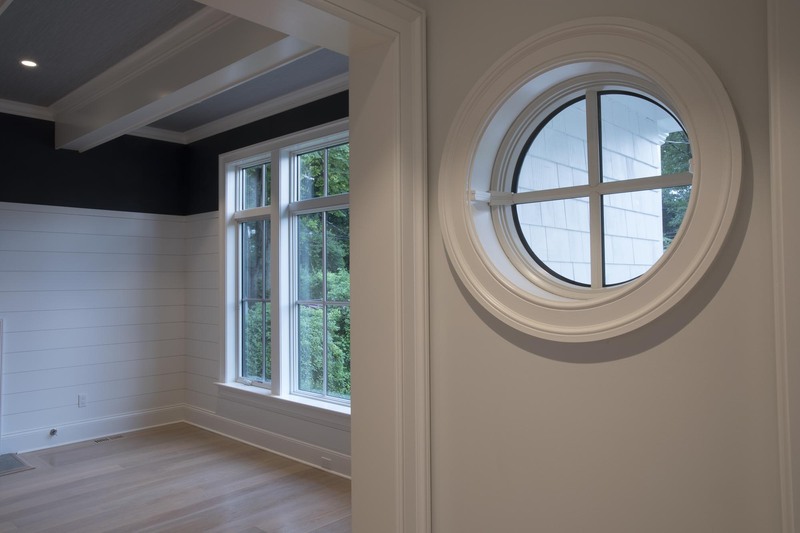 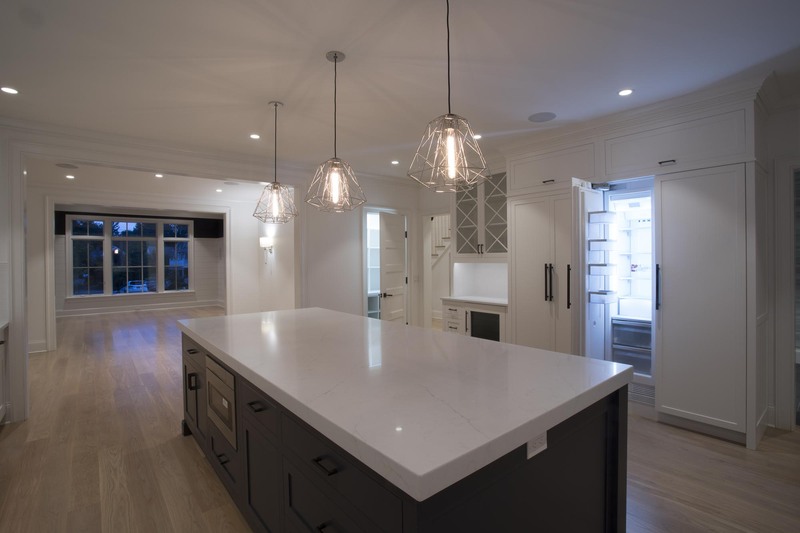 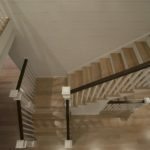 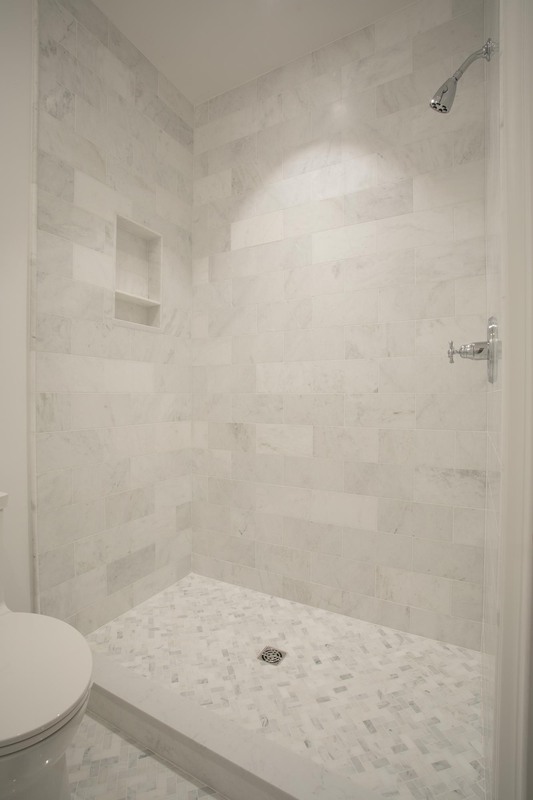 The new home features architectural elements, high end appliances, a 3-floor elevator, 9 foot ceilings, and unique finishes. 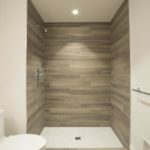 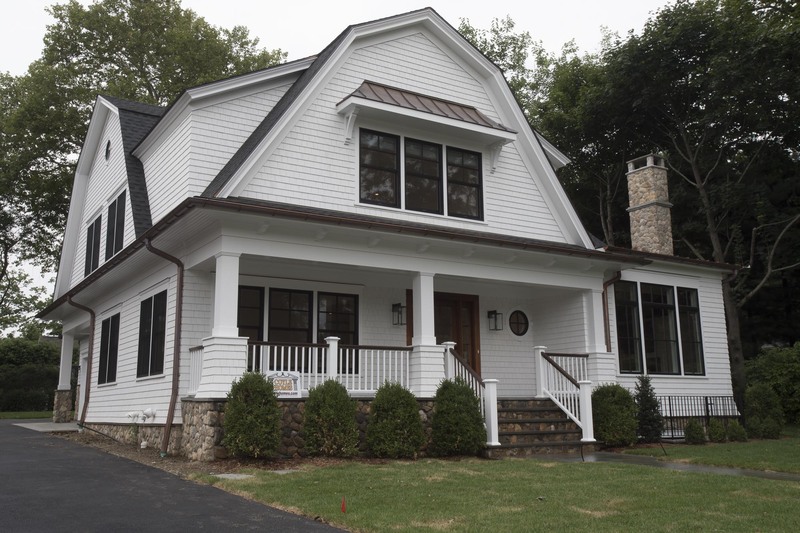 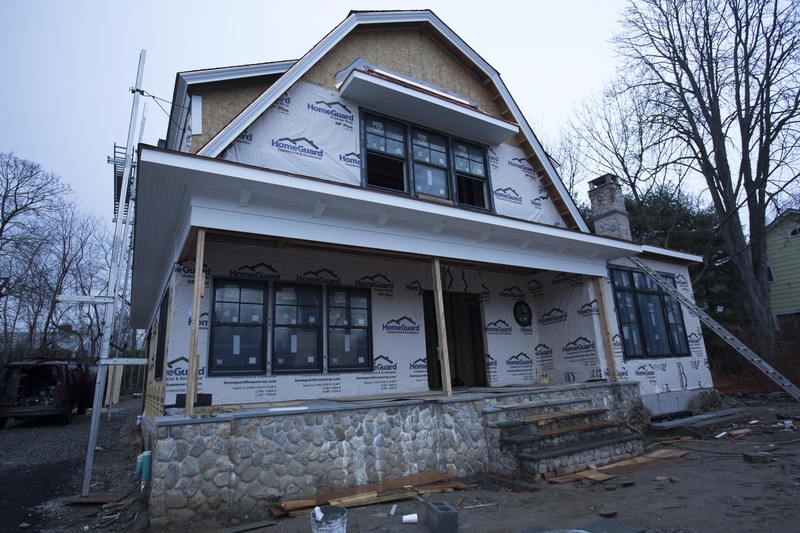 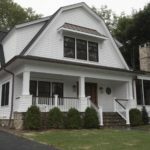 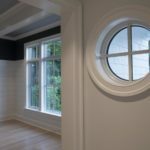 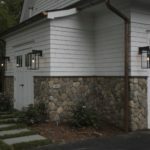 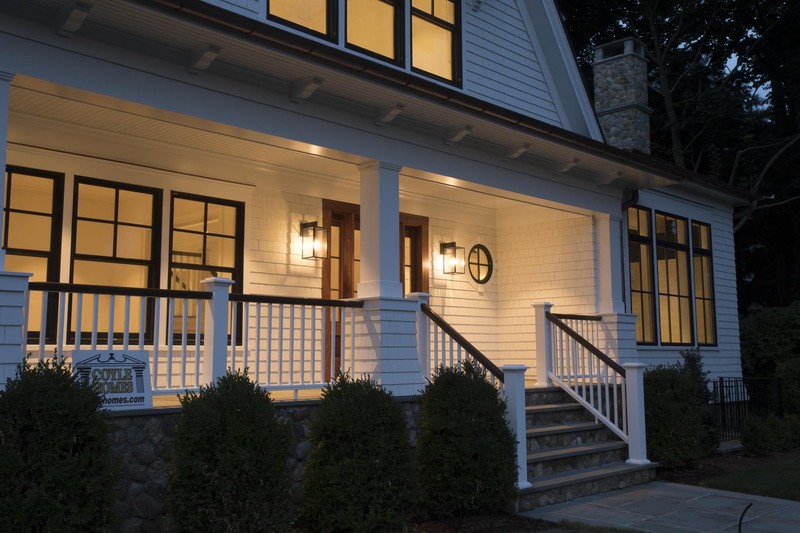 The exterior features natural white cedar shake siding with a 15 year warranty on the finish and stone veneer wrapping the entire exterior of the home. 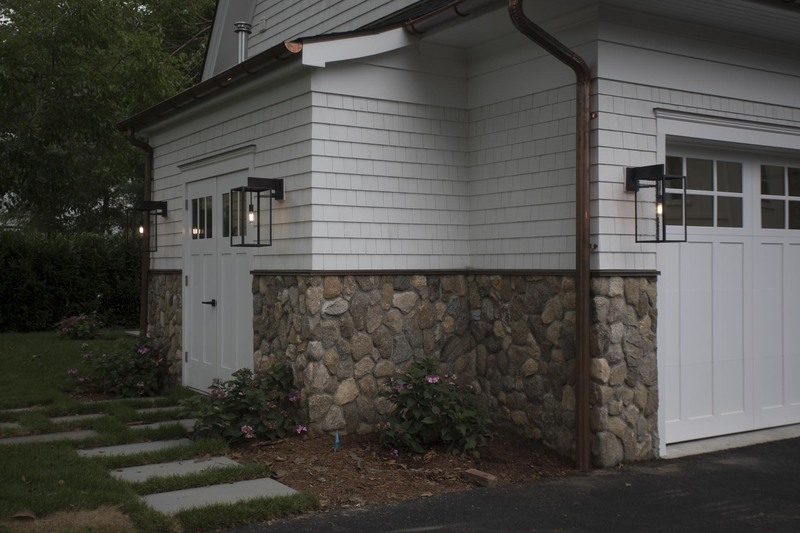 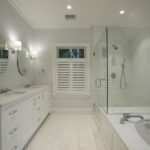 Copper gutters and flashings accent the white and earthy tones. 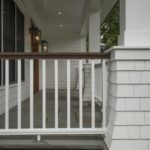 A covered porch sits on both sides of the house with a balcony on the second floor overlooking the back blue-stone patio and yard. 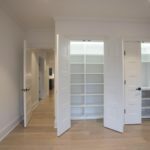 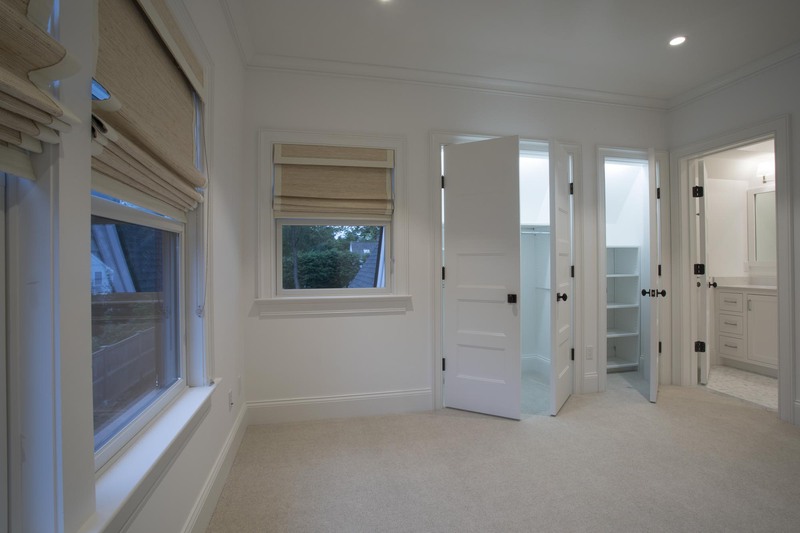 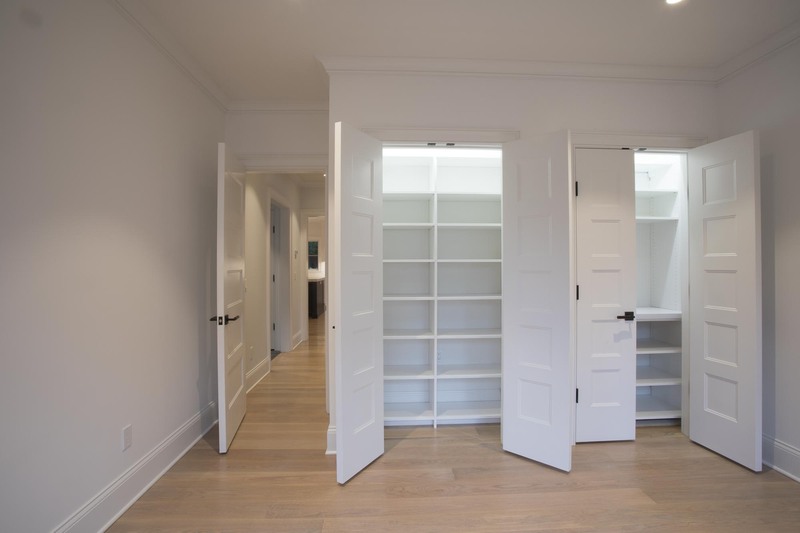 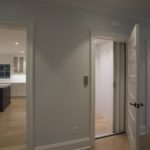 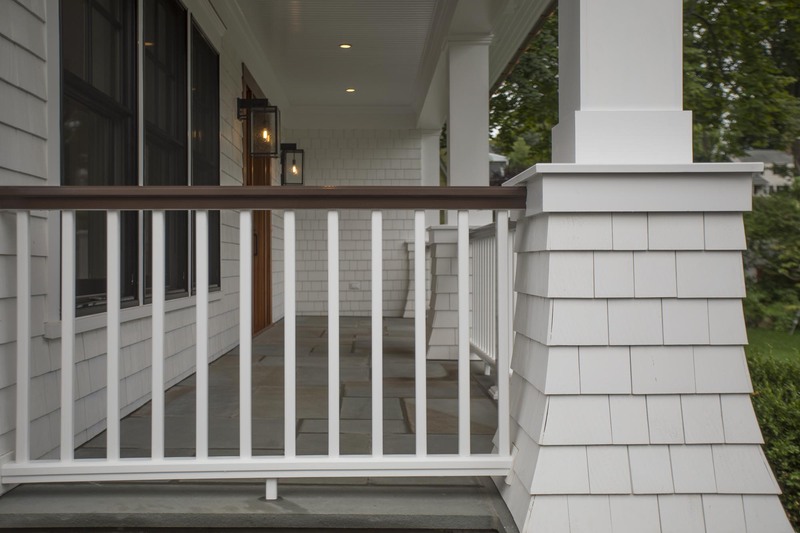 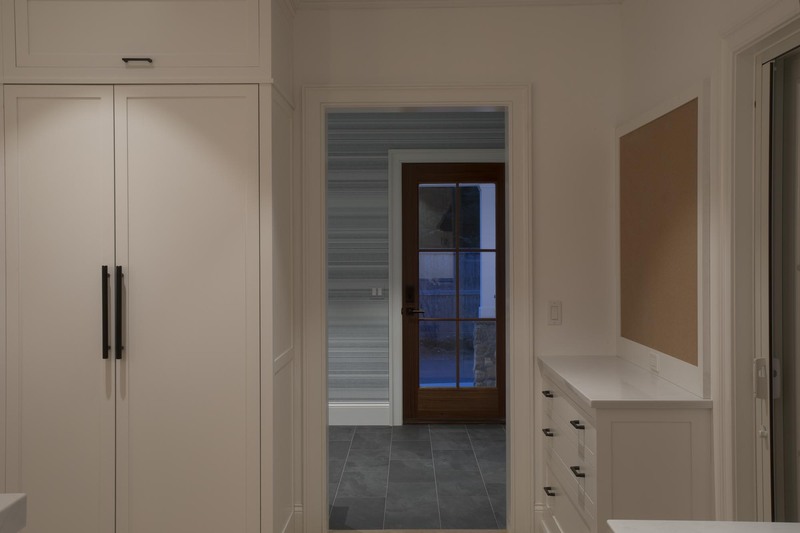 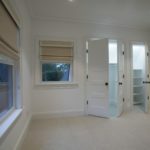 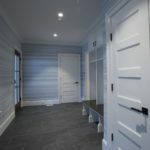 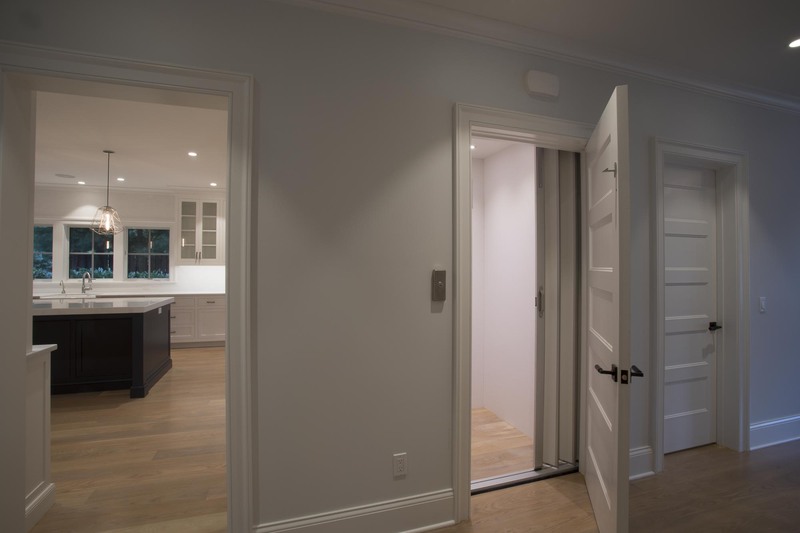 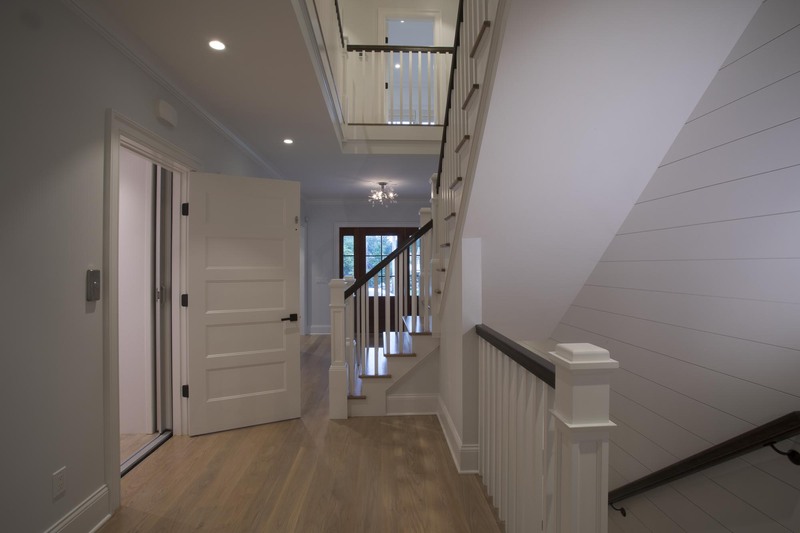 Because this home needed to be easily accessible, Coyle homes created a ramped side entrance as well as an elevator that fits right into the home like a closet door. 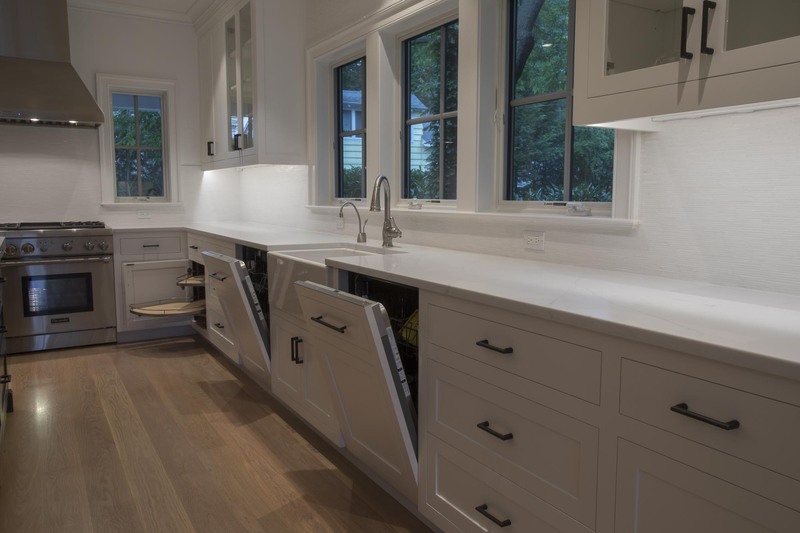 On the main level is a supersized kitchen with dual dishwashers that blend in perfectly with matching cabinet facings. 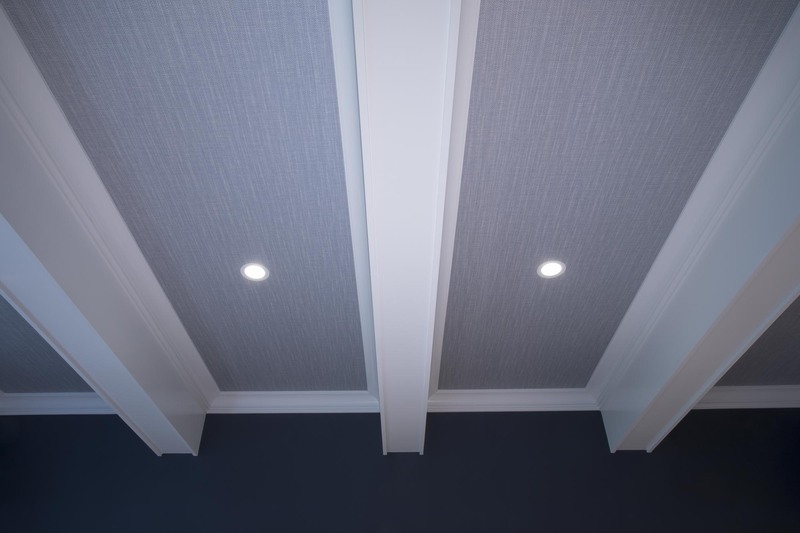 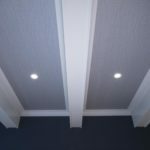 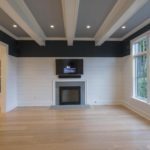 Wallpaper decorates the coffered insets of the living room ceiling for a unique touch of color and texture. 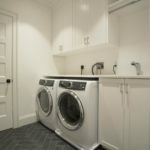 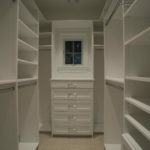 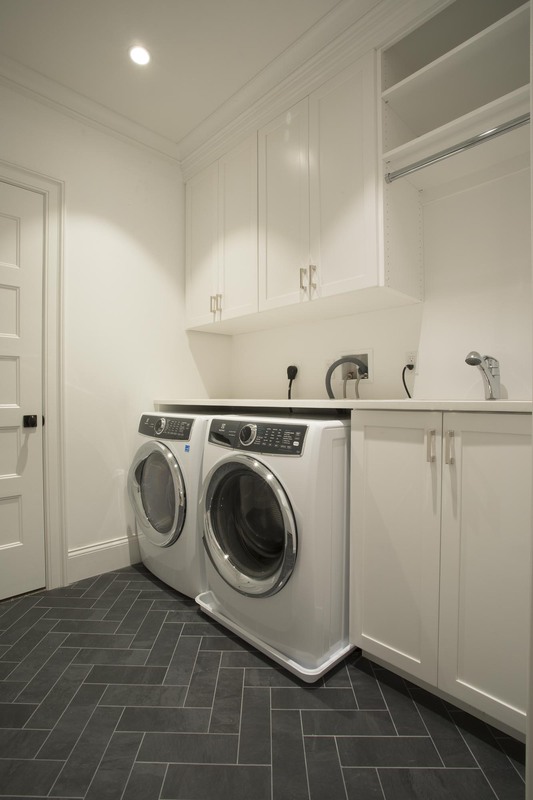 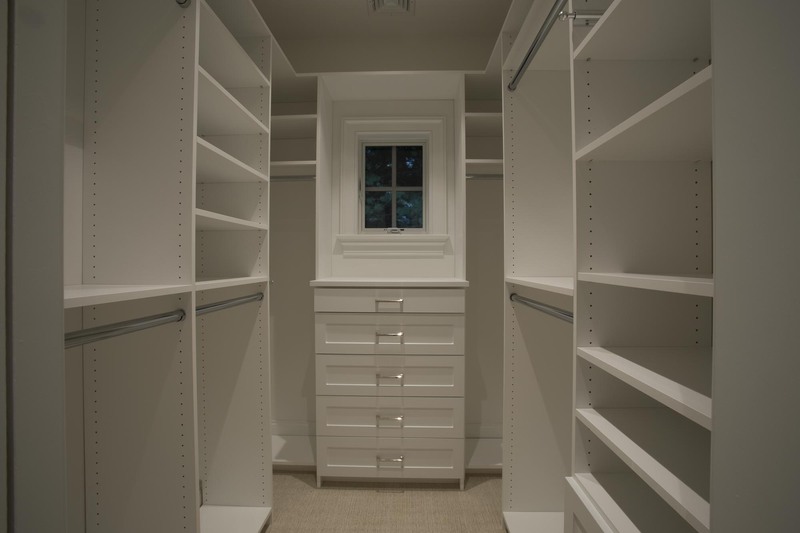 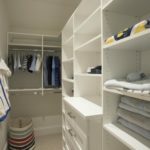 The laundry room is on the main level with plenty of room for folding and storage. 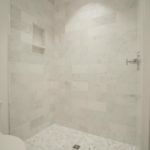 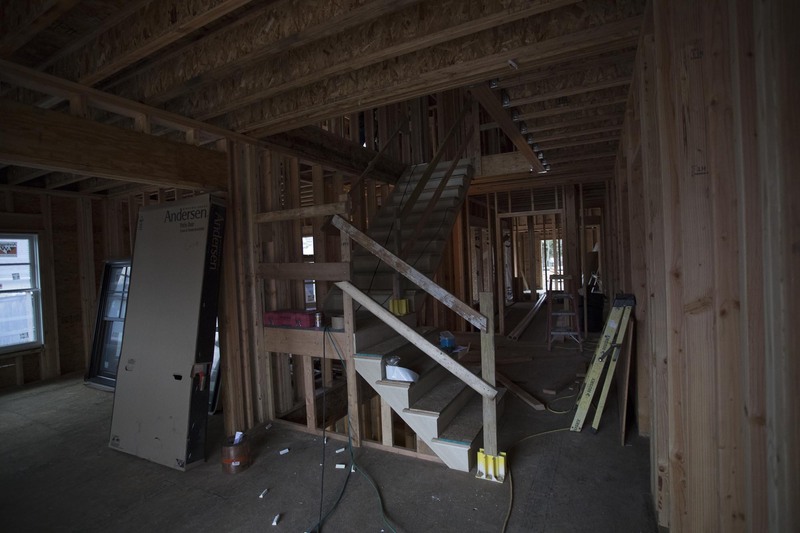 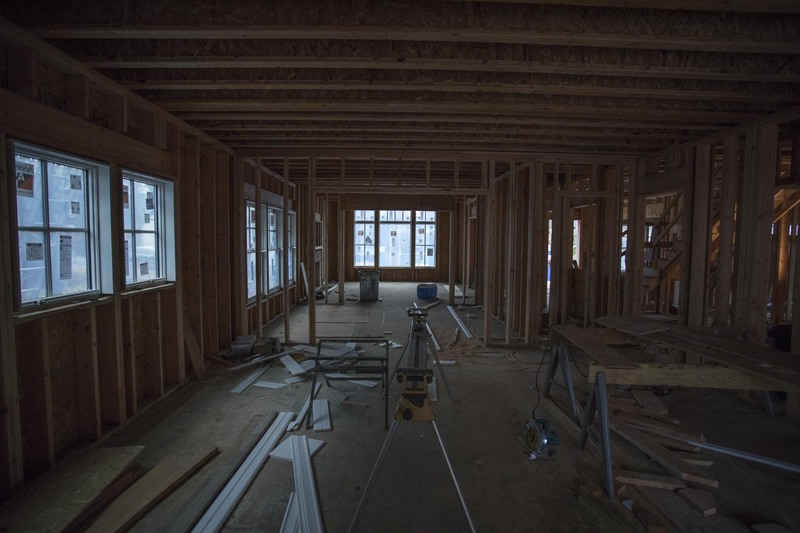 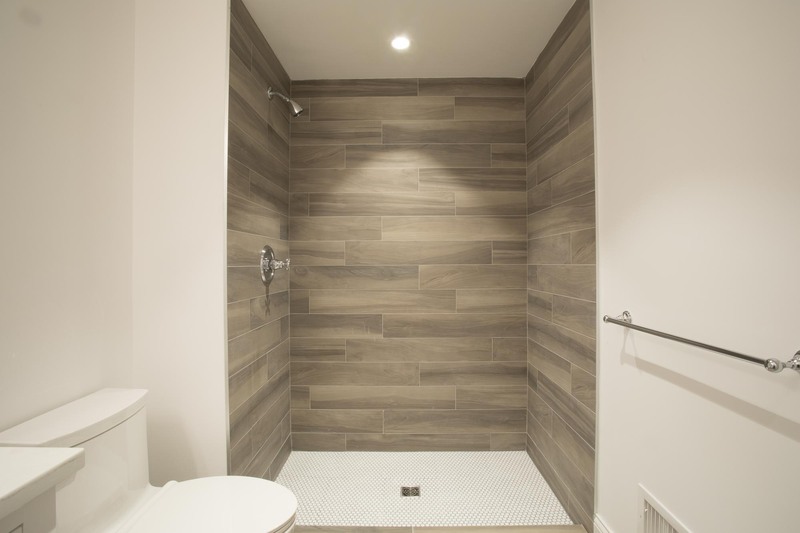 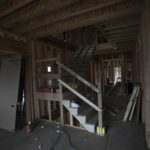 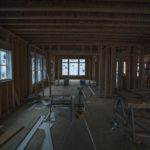 The house has a total of four bedrooms and five bathrooms that have heated flooring. 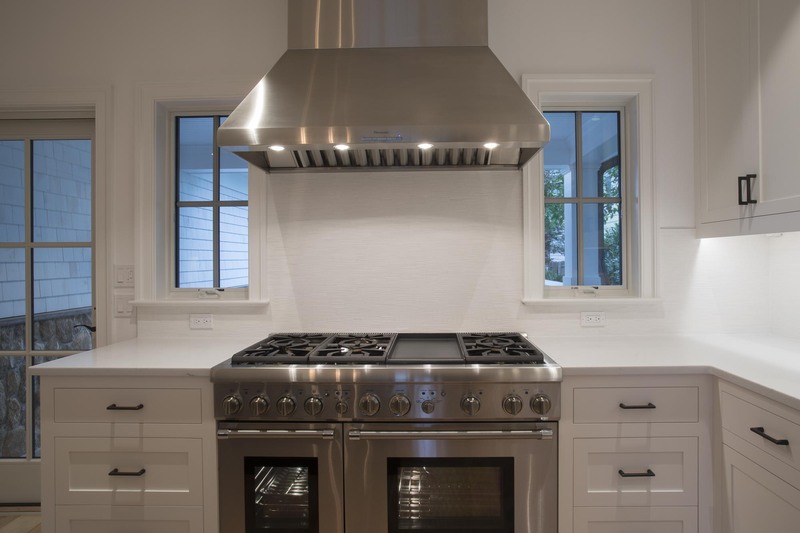 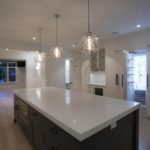 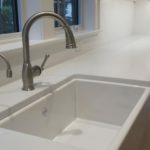 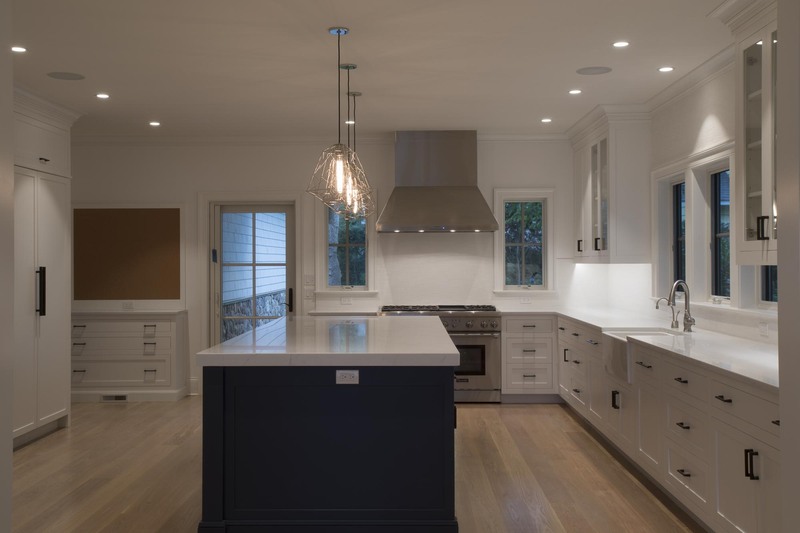 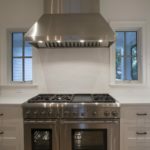 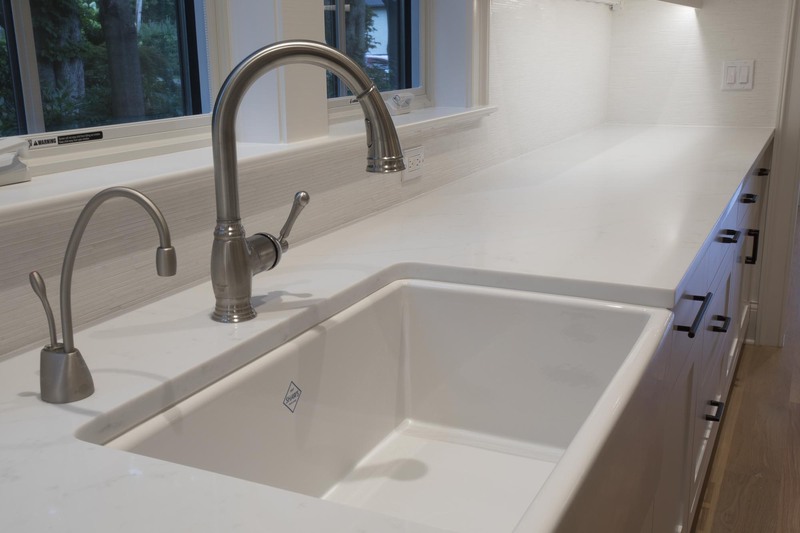 The kitchen features high end appliances with a microwave that slides out of the island and dual dishwashers. 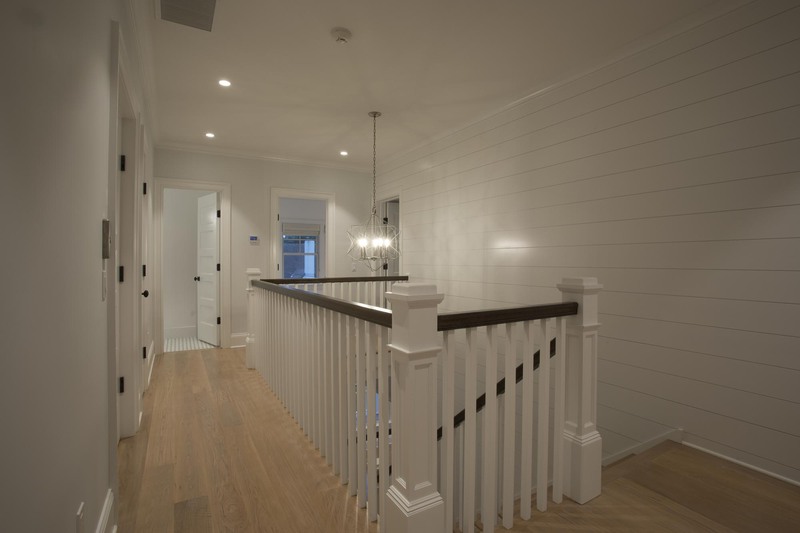 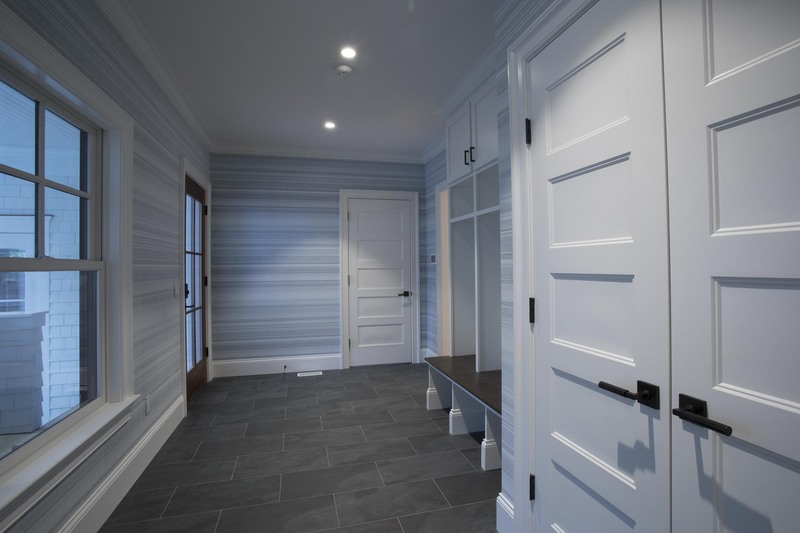 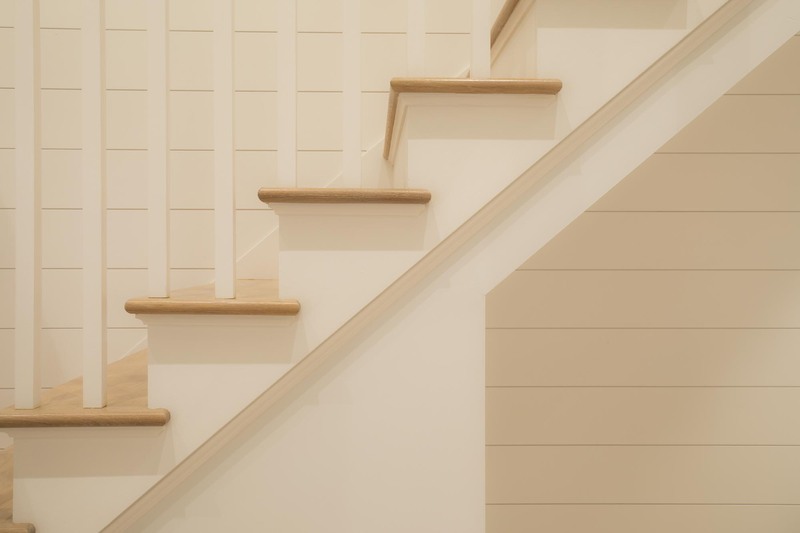 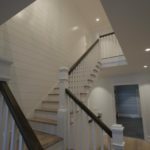 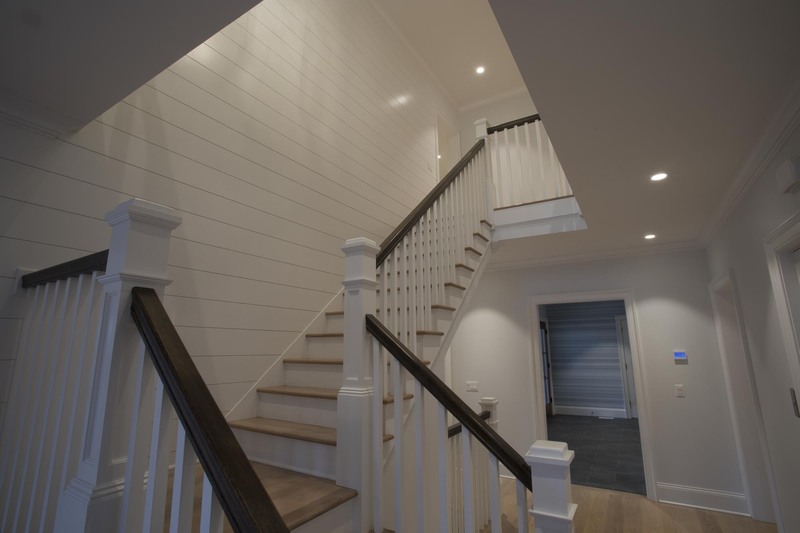 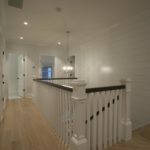 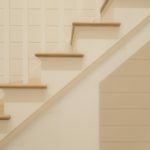 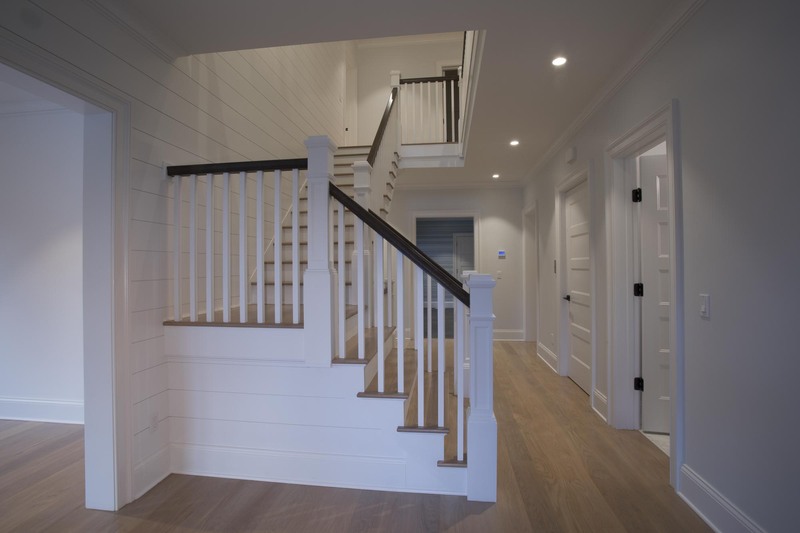 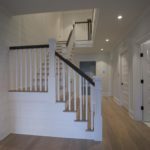 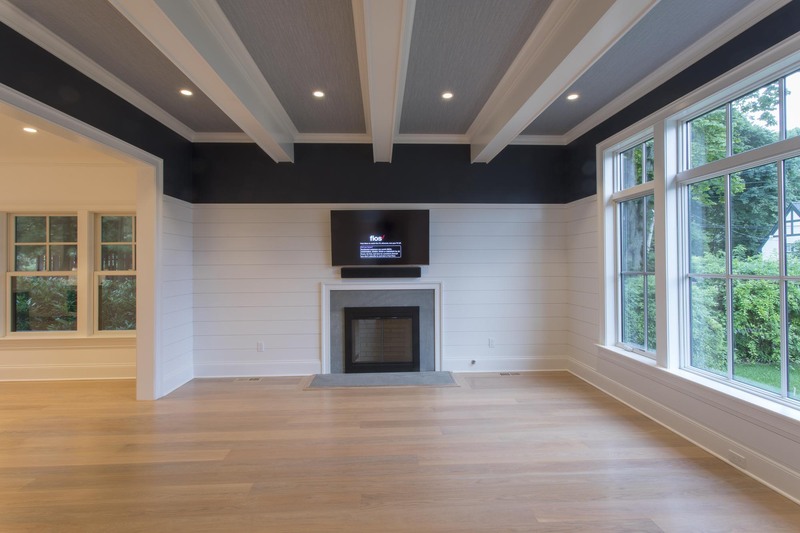 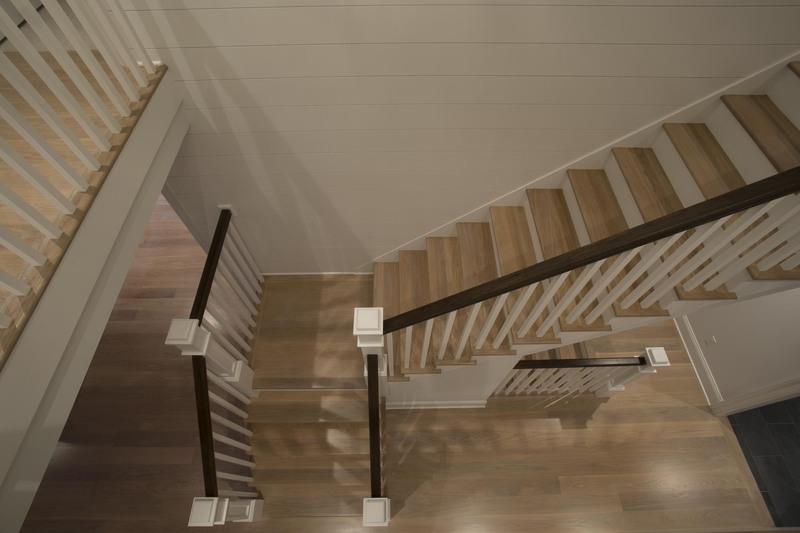 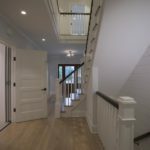 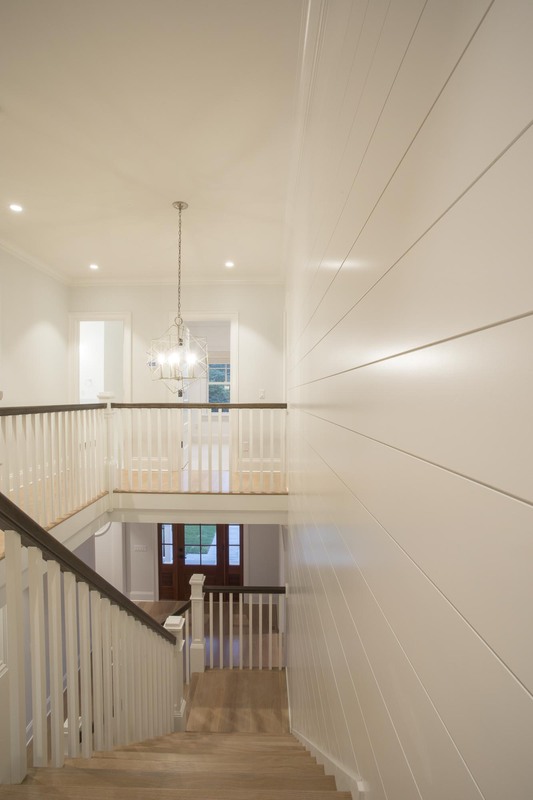 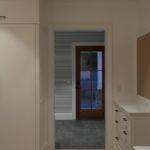 The central hallway and living room feature beautiful shiplap made with nickelboard, providing another texture that adds interest especially to the soaring wall along the staircase.